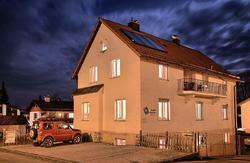 Welcome to the Old Kings Family - our small and lovely Hostel in the beautiful mountain town of FÃ¼ssen. Inspired by our King Ludwig II, we are running FÃ¼ssen's first design hostel situated in the heart of the historical part of the town, which is just a 5-minute walk from the train station. FÃ¼ssen's castle, the famous sights in the old town, bars and restaurants are only a stone's throw away. 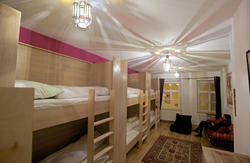 We have renovated a more than 500-year-old building which now meets the needs of international backpackers. Enjoy our relaxed family atmosphere, meet up with other backpackers, discover the surrounding lakes and mountains and visit King Ludwig's famous castle Neuschwanstein. Our Team will be glad to give you loads of local information about the area. As backpackers we know how a good hostel has to be like. Take a breath of history in our small house and join the welcoming family atmosphere at Old Kings, our exclusive and individual hostel with only 22 beds. Every room is decorated and furnished in a different antique- or retro-fashion majestic style. The classic ambience is surely going to give you the feeling of being taken back to the good old royal days. Clean, well-kept and fully-equipped facilities are something we are proud to present to you. Our reception hours are from 7.45-12am and from 4-9.15pm - please advise us, if you plan to arrive outside these opening hours. A tourist tax of 2.20 EUR per person is not included.